Department of Art | Help the League of Graduate Artists get to Art Basel! Home » News » Help the League of Graduate Artists get to Art Basel! Help the League of Graduate Artists get to Art Basel! The League of Graduate Artists is raising funds through Go Fund Me for the Aqua Art Fair during Art Basel in Miami! Help us get to Art Basel Miami this December! 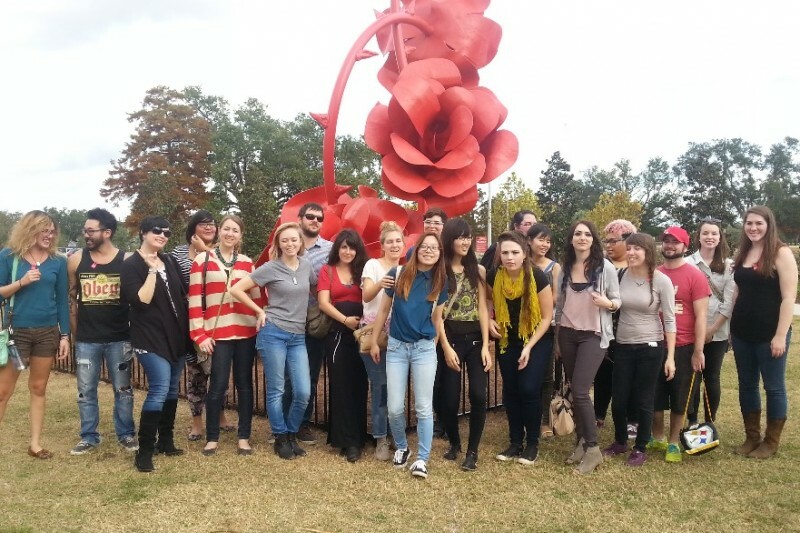 The League of Graduate Artists is an organization of Masters of Fine Art students at Florida State University. We support each other and the local art community in Tallahassee, Florida by organizing and participating in art exhibitions and community outreach projects. This year, we are honored and excited to have been accepted into the Aqua Art Fair during Art Basel Miami! Art Basel Miami is an international art fair, and is considered the most prestigious art show in the Americas. We are seeking donations to help fund our booth fees and travel expenses. All money raised will go towards our Aqua Art Miami booth rental fees, van rental, gas money, promotional materials, and installation expenses for the week long event. Please donate and help us make this prestigous event possible!